Liberal Leader Justin Trudeau made a special pilgrimage in B.C. Monday, hiking to Kokanee Lake in the Kootenays, the site of his younger brother Michel's death in a 1998 skiiing accident. "This place is extraordinarily special to me," Trudeau told The Daily Townsman. "It's the place my brother chose to live his life. We didn't know he'd leave us at 23, but every time I come back here I feel close to him." Trudeau is travelling with his family in an RV around southern B.C. on a part-vacation, part- mini political tour, and told CBC that this morning's hike with his family was private. "It is a walk with my family up an extraordinarily beautiful trail and it is a very personal thing," he said. 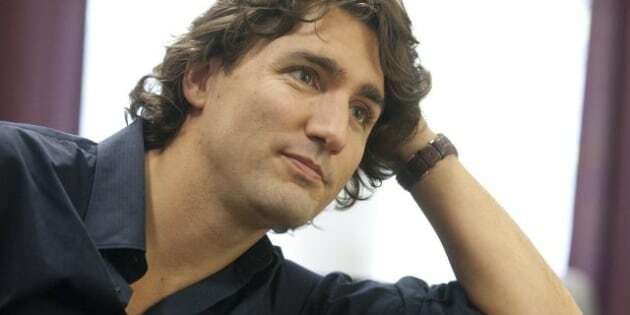 Though Trudeau has visited the lake many times since his brother's death, this was the first time his wife, Sophie Gregoire and the couple's two children, six-year-old Xavier and four-year-old Ella-Grace, have accompanied him, he told the Nelson Star. Trudeau later Tweeted a picture of the family at Kokanee Lake.